ALERT: Biblical ABC Learning Update And More! The 2016 Spring/Summer Release of Biblical ABC Learning is getting closer! The love, support and feedback I have received keeps me elated! A concrete release date will be announced soon! There will be a Biblical ABC Learning Contest Giveaway during the weeks leading up to the release! Though a release date has not yet been announced, the Contest Giveaway will begin next week! Which means a release date announcement is getting close! One will be able to win a nice Biblical ABC Learning gift for their son, daughter, niece, nephew, friend's child or even yourself! The Contest Giveaway Rules are very simple. Be the first to answer the question correctly. I will post a question and give directions on where to respond(send your answer). If no one answers the question within one week, the question will be void and the next question will be asked. If the question is answered the same day or before the week timeframe up, the next question will not be posted until the following week. Unfortunately, you will only be eligible to win once during this Contest Giveaway. In order to know the questions and participate, you must visit and follow my websites and/or be following me on social media to know when questions are posted. Biblical ABC Learning will enable children to learn the alphabet and about the Bible together! 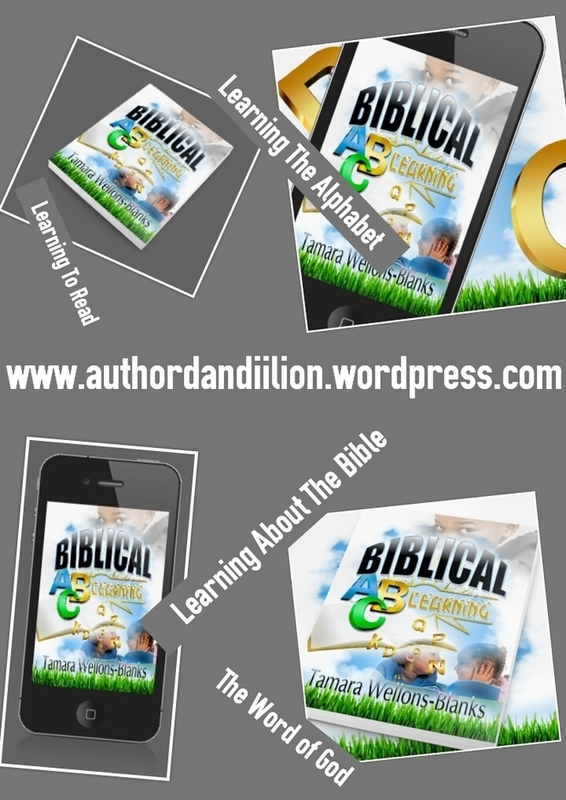 Children will learn the alphabet, learn to read and learn about the Bible! That is a lot of beneficial learning packed into one book!